In case you haven’t noticed, community service in the workplace is more than a passing fad. Since the early days of employees putting in a day of labor for Habitat for Humanity, supporting social and community causes has only grown in popularity. Employees at all types of businesses are sharing their time and special skills with local nonprofits while on their employers’ clock. While nonprofits still rely heavily on corporate donations, it’s no longer just about companies writing a check at year end. Our staff here at Gross Mendelsohn looks forward to participating in several organized community service events every year. Since 2011, our firm has had a robust community service program in place. 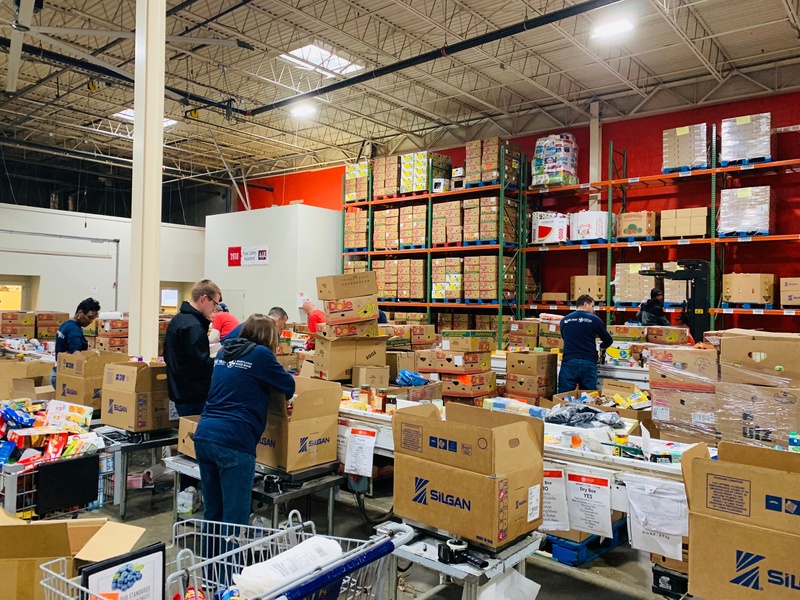 In case you’re feeling inspired to make community service a bigger part of your business, we are happy to share a behind-the-scenes look at our own experience with a structured, company-sponsored volunteer program. Each year, staff members select several local nonprofits to help. In full disclosure, those nonprofits are almost always our clients. Our firm has a large nonprofit specialty and we love giving back to nonprofits we work with. A few staff members serve as liaisons with the nonprofits to coordinate dates for our community service days, rally our troops to sign up for various volunteer projects, and order some fashionable Gross Mendelsohn swag for our volunteers to proudly wear. Once all the arrangements are made, our teams of volunteers converge on several local nonprofits to chip in however those organizations need help. In many cases, our staff doesn’t know what they will be asked to do until they arrive on site. This has never presented a problem, as our staff shows up ready to get their hands dirty – literally! 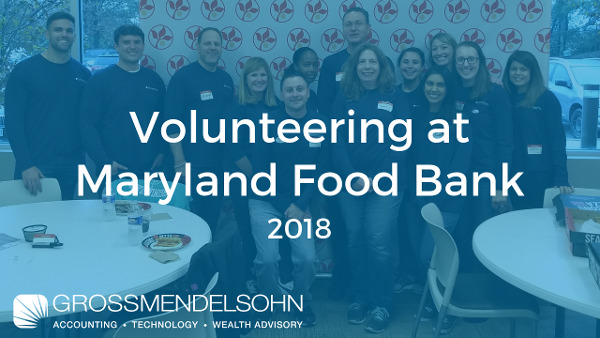 This short (49 seconds to be exact) video sums up our firm’s recent experience volunteering at the Maryland Food Bank, and sheds some light on why community service is important to our firm. Our team has also cleaned kennels at the Maryland SPCA, served hot meals to clients of Paul’s Place, cleaned up the bay and surrounding grounds of the Living Classrooms Foundation, packaged meals for Stop Hunger Now, and planted trees for the Parks & People Foundation. 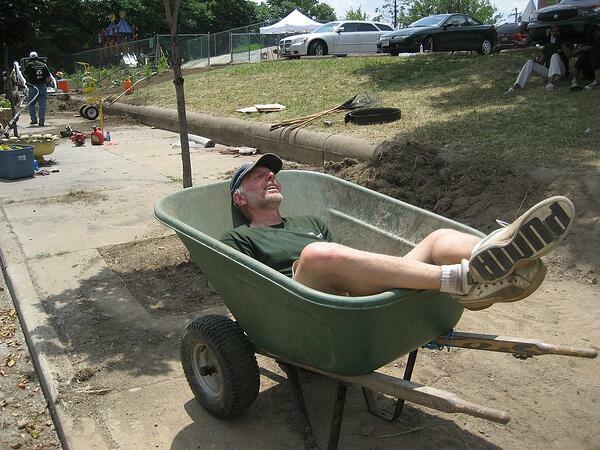 Community service days are so popular with our staff that we often have a waiting list to participate. There are a lot of reasons why our firm is so committed to volunteering in the local community, including the ones we mention here. This one is pretty obvious. Through some good old fashioned teamwork and elbow grease, we make a direct impact on the community. The Maryland Food Bank, for example, distributes 37 million meals per year and that would not be possible without the help of volunteers. Last year alone volunteers saved the organization $1.2 million in the form of wages. In four hours, our own team sorted and packed nearly 10,000 pounds of food. When you break down the numbers – whether it’s pounds of food, hours worked, number of kennels cleaned, or number of trees planted – they add up to something meaningful! 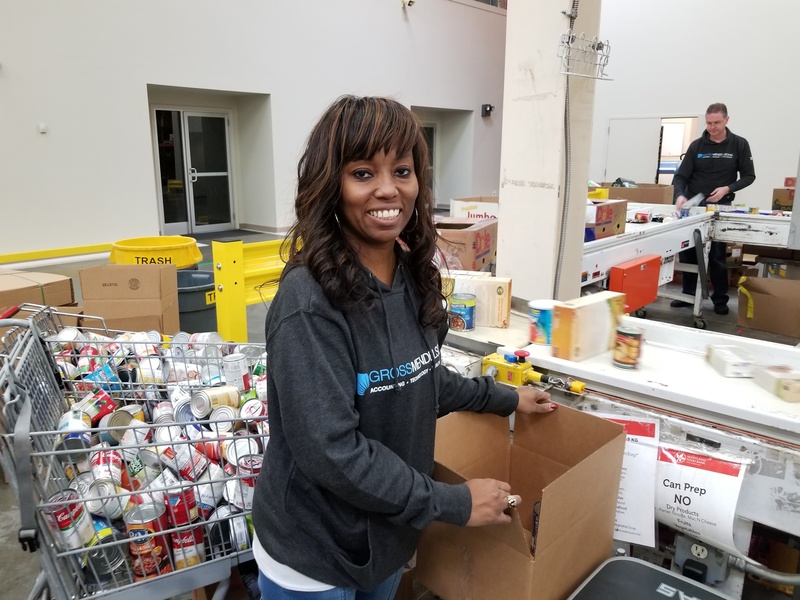 Vandana Azhar of our Fairfax, Virginia, office recently volunteered at the Maryland Food Bank. She said, “It was just amazing to see how much was donated to their cause!” She appreciated the welcome presentation given by a Maryland Food Bank representative, who explained how volunteer hours save the organization millions of dollars. For Vandana, this quantification helped frame the meaning of our work that day. Our firm happens to have a long list of nonprofit clients. While we usually work on their financial statement audits and Form 990s, it’s good to step back and get to know them better through hands on work. We’ve found that our staff ends up with a more well-rounded, 360 degree view of our nonprofit clients when we walk a mile in their shoes, so to speak. When our staff comes together to volunteer, they build bonds with one another as they work to achieve a common goal. Staff members often find themselves working alongside co-workers with whom they don’t typically interact in their day-to-day work at the office. Our receptionist, for example, might share garden tools with one of our technology consultants, or a member of our marketing team might make beds for homeless cats alongside one of our construction CPAs. Like many growing companies, we are always looking for awesome people to join our firm. Surveys have shown that potential employees tend to view companies who give back to the community more favorably than those who do not. Employees want to work for companies who care about their people and their communities. 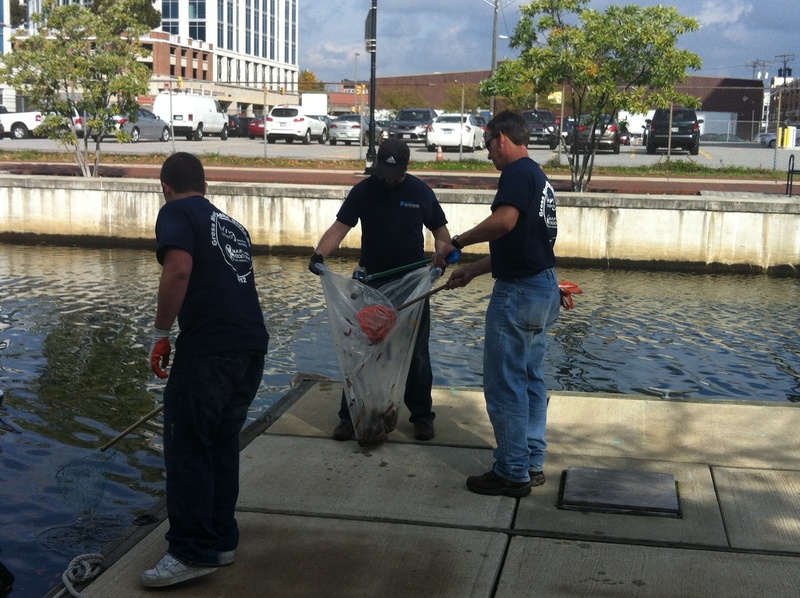 You can make your business more appealing to potential employees by demonstrating that your have an active community service program in place. Who doesn’t like free swag? As a small perk, the firm provides a different “Gross Mendelsohn Gives Back” shirt or hoodie to volunteers each year. Enough said. Are You Inspired to Volunteer? Generosity comes in many forms. So talk to your employees, find out what they are passionate about, and consider starting a community service program for your business.